I peeked outside my window to see a nearby porch light on. 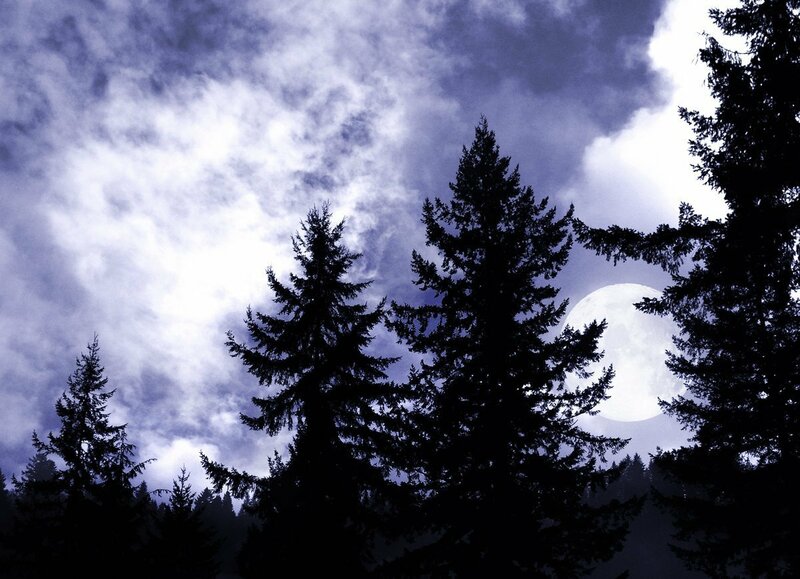 It brought me a moment of comfort and joy (as any good neighbor does), until I realized, “I’m out in the middle of nowhere with nothing but stars and silence!” And then I saw: the moon, rising through sky-reaching evergreen trees. A good neighbor indeed!